Built 1926. 440 seats. 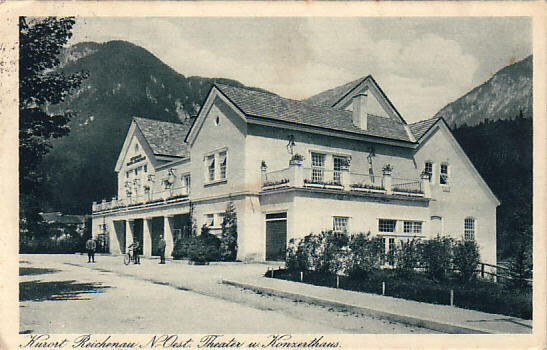 Currently used for drama performances by the yearly "Festspiele Reichenau" summer festival. Front Text: "Kurort Reichenau N.-Oest. Theater u. Konzerthaus"